KUALA LUMPUR: The highly anticipated all-new Lexus NX is set to debut here. Lexus will tonight host a spectacular event for exclusive guests to witness the grand premiere of this compact crossover SUV. To be held at an equestrian club, guests will be among the first in Malaysia to appreciate the dynamically powerful Lexus NX, and discover up-close a host of Lexus firsts like the twin-scroll turbo engine, panoramic view camera and many more exciting features. There are two engine options (2.0 turbo and 2.5 hybrid), five variants (200t, 200t Premium, 200t Luxury, 200t F Sport and 300h) and seven exterior/cabin colour combos. Prices for range from RM300k to RM390k. 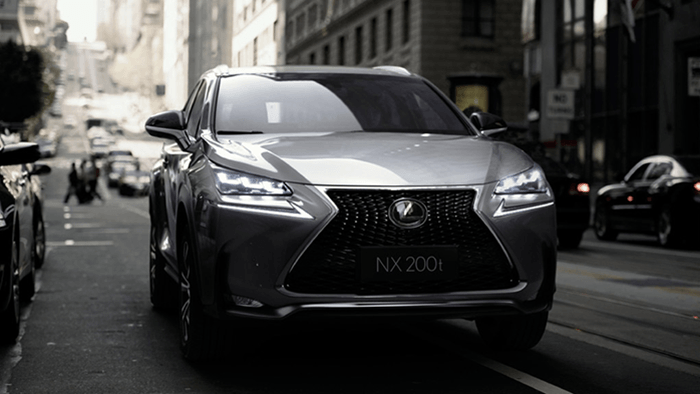 According to the press release, the NX exterior has been "designed to provide a feeling of agility not usually associated with an SUV while also being suitable for urban use. "The NX is sculpted to look nimble while hinting at the incredible power concentrated inside. Front and rear flares fuse with the diamond-shaped body at the spindle grille, and innovative LED headlamps and daytime running lamps firmly express Lexus’ bold design language," the press release said. "A roofline peak towards the back of the vehicle provides ample headroom and accentuates the side profile, creating a tight silhouette. Bold, flared wheel arches house 17- or 18-inch wheels that set the vehicle in a crouching, muscular stance." "The rear is punctuated by Lexus’ signature ‘L’ shape combination lamps, each with seamless LED lighting, while the bodywork echoes the spindle grille design at the front." The NX is Lexus’ first entry into the compact crossover segment. The compact crossover SUV is open for booking in Malaysia. Log on to http://www.lexus.com.my to book a test drive.